It’s quite easy to get to Afognak’s more famous sister island, Kodiak and if you have the resources, visiting the slightly more remote Afognak is possible with a bit of planning. Getting to Kodiak Island from mainland Alaska is a matter of taking a ferry or plane to the City of Kodiak, the only real (and extremely small) city on the island. Getting to Afognak is a bit more involved. 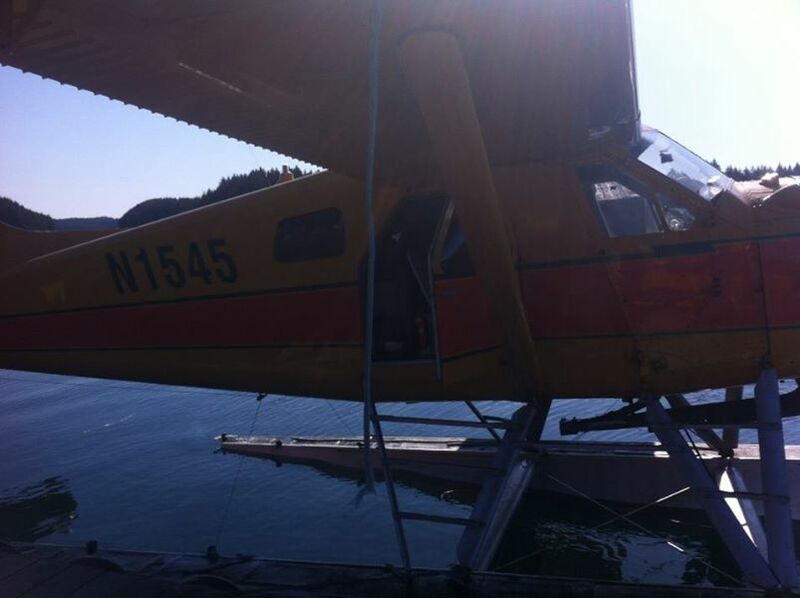 There are several air taxi services with float planes if you want to just fly out there on your own. Renting a boat if you’re a handy mariner is also an option, just keep in mind tides change rapidly and drastically in the area, something I learned about first hand. It’s quite easy to be left high and dry for hours waiting for the tide to come in. If you’re more of a packaged deal sort of traveler or you would rather have a lodge than go camping in tent or boat on an island with one of the largest bear densities on the planet, there is a lodge. Employees from Afognak Wilderness Lodge stopped by our cabin about once a week on bear viewing trips with tourists and they seemed extremely competent, knowledgeable and friendly. 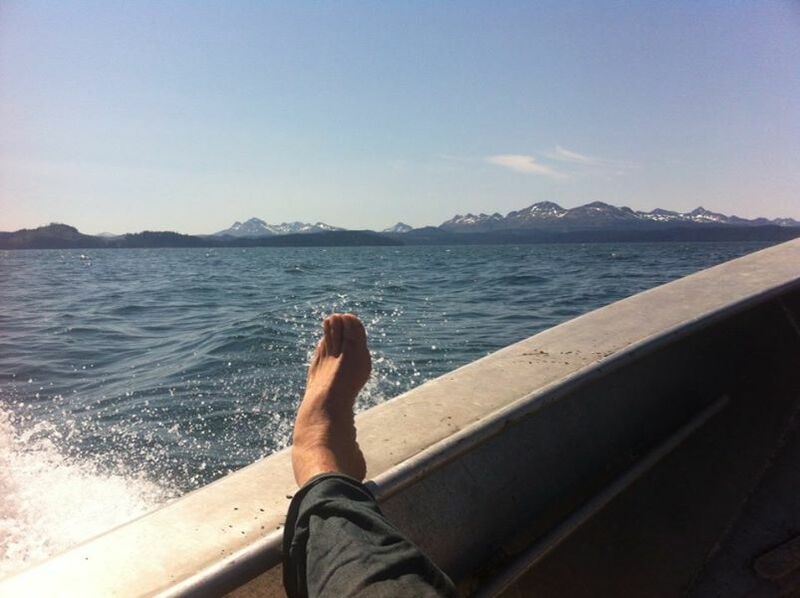 As for travelling like I did, if you have a biology background, especially in fisheries and a few months you’d willingly spend working in one of Alaska’s prime wild places, Kodiak Regional Aquaculture Association is usually hiring in the spring along with several other fisheries organizations and businesses. I had an overall good experience working with fisheries in Alaska, it seems for the most part everyone (including fishermen) is very much on board with keeping fishing in Alaska sustainable and you couldn’t hope for a more beautiful work location. I personally have never seen an abundance of marine wildlife like on Afognak. Otters and seals were seen every day you were on the ocean in large numbers. Puffins, gulls and bald eagles were everywhere fishing in the ocean and streams. Deer, fox and bear were also very common and had much less fear for humans than you’d expect (although there is some hunting on Afognak). I even saw humpback whales twice while on the island, once spy hopping as we watched them from afar on the beach and once as we were flying over them on my way home. Watching the whales as we circled them from above was one of the most amazing wild life viewing experiences of my life. Culturally what’s interesting about Kodiak is the influence of Russian culture on the island, especially the influence of the Russian Orthodox Church, which can be seen quite obviously in the form of some church buildings as well as the presence of a seminary and a monastery. Historically, native people have been living on Afognak and Kodiak islands for some time. I’ve even heard that there are places where artifacts such as boats, arrow heads, etc. can be seen on Afognak but haven’t seen them myself. Most people don’t visit Afognak or Kodiak for culture but it makes the trip a little more interesting to have less mainstream cultural elements.